Oftentimes, being a team player is not as simple as it sounds. It means putting aside your pride and your preferences for the good of the team. In the new movie Woodlawn, we see just this. Men with different stories, different backgrounds, and different personalities struggle through becoming team players and putting their team before themselves. So what does it look like for us to do the same? It’s no question that we are all different. That’s why the first step to building a successful team is understanding your differences. This begins with recognizing your own strengths and weaknesses. Ask yourself: What comes easily to me? and Where do I often struggle? Then, apply those same questions to your family. Once you understand where you’re gifted and where your spouse may be lacking, you can better serve your family. For example, if cooking is your strong point and something your spouse has never mastered, then take to the kitchen! Love your family well by putting together great meals that can be enjoyed sitting around the dinner table together. Another example is our daughter, Emily. She is the organizer of the family so when it came to handing out chores in our household, she would get to be the one to organize the closet where our other children would focus on something they were gifted with. Don’t be surprised to find that your strengths balance out their weaknesses, and their strengths balance out your weaknesses. Perhaps the most crucial part of being a team player is establishing a common goal. In the movie Woodlawn, people from all different walks of life come together in pursuit of one goal: to win. In the same way, our differences are often minimized in the face of great goals. So find something you can all strive for together—whether it’s loving one another well, serving each other well, or supporting each other well. Ultimately, your common goal should be about giving rather than taking. So if your wife is feeling under the weather, give her a break and offer to do the dishes. Or, if your son is busy studying for a big test, encourage your daughter to quiz him. After understanding your differences and establishing a common goal, a game plan is sure to follow. This requires thinking through practical ways to get the ball rolling. Think back on the unique gifts you and your family possess. How can these strengths be used to your advantage? Perhaps your spouse is a rock star at handling money. So encourage them to lead your family by planning a budget! Whatever it may be, it’s crucial to execute your game plan together as a family. 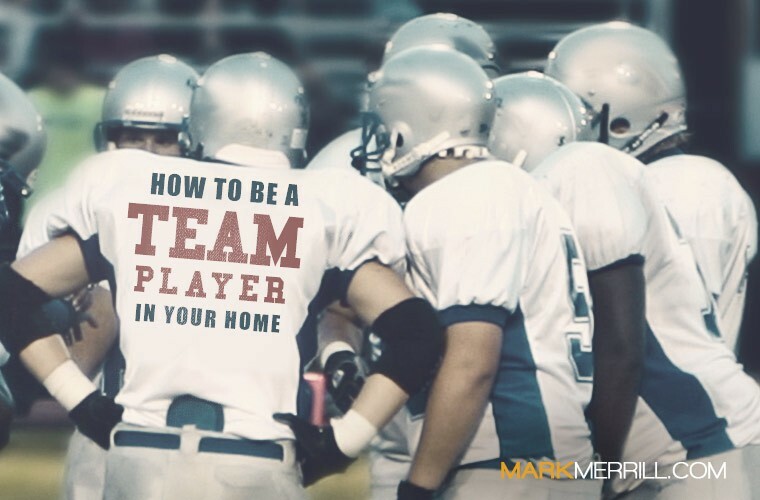 What are some other ways to be a team player in your home? Feel free to leave your ideas in a comment below.